It wears my heart out to talk like this. the heart affected: the central chambers. Paris is greater than or equal to Beirut. been produced such that everyone fails. Tweet your top 5 solutions to 5 friends. If you break the chain someone dies. I will no sooner surrender my paradoxes. human beings blown to smithereens. night’s sleep, eat a healthy breakfast. showing up anyway. I make eyes at strangers. the response that seems the least wrong. Note: This poem has been published exclusively online as part of a project in which poets respond to current events. 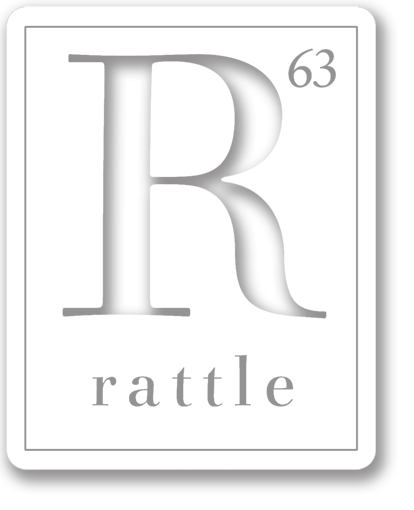 A poem written within the last week about events that occurred within the last week will appear every Sunday at Rattle.com—plus the occasional bonus poem during the week. Our only criterion for selection is the quality of the poem, not its editorial position; any opinions expressed are solely those of the poet and do not necessarily reflect those of Rattle’s editors. To read poems from past weeks, visit the Poets Respond page. Interact on our Facebook group. To have a poem considered for next week’s posting, submit it here before midnight Friday PST.